Always On - The Always On feature (first introduced in SQL Server 2012) has been enhanced to facilitate high availability and disaster recovery of data. Support for DTC (Distributed Transaction Coordinator) and round-robin load balancing has been introduced in SQL Server 2016. Native JSON support - JSON is a standardized data exchange format widely in use these days. SQL Server 2016 provides support for JSON imports and exports. Support for parsing and storing JSON is in-built in SQL Server 2016. Always Encrypted - Data security has always been a major concern. SQL Server 2016 comes in with the Always Encrypted feature that when enabled, protects your data in the SQL Server database using encryption. In using this feature, access to the encrypted sensitive data can be made only by the application that accesses the data stored in the SQL Server 2016 database. The application that has the encryption key can have access to the data -- this encryption key (it's a master key stored in your system) is never passed to SQL Server. Note that the process of encryption and decryption of data is performed at the database driver level, and the database owners or the database administrators don't have access to the unencrypted data at all. To improve performance, only sensitive data is encrypted. The non-sensitive columns, i.e. the primary key, are not encrypted. Incidentally, SQL Server 2016 provides support for two modes of encryption deterministic and random. While in the former you can get the same value when you encrypt the sensitive data multiple times, in the latter you would get different values each time you encrypt your sensitive data. Both of these strategies have pros and cons, though. Stretch Database - When the Stretch Database (also known as Stretch DB) feature is enabled for one or more tables of your local database, SQL Server 2016 can dynamically archive data in a secure manner from your local SQL Server database onto the Azure SQL database hosted in the cloud. 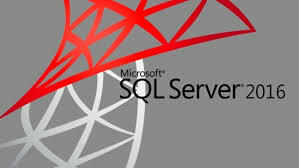 Hence this version of SQL Server facilitates seamless migration of your data to Microsoft Azure sans any downtime. Support for in-database analytics with R-integration SQL Server 2016 - Provides support for advanced analytics to facilitate a deeper insight into your data. This is the first version of Microsoft's flagship database product to have an integrated support for Revolution R for statistical analysis of your data. Hekaton enhancements - The In-Memory OLTP engine that was introduced with SQL Server 2014 helps you to create in-memory tables and then perform I/O operations against them in memory for lower latency and improved performance. Note that Hekaton is another name for the In-Memory OLTP engine in SQL Server. Performing I/O operations against these in-memory tables result in faster reads and writes as your application can read from and write to the memory much faster compared to disk reads and writes.